Architect and designer Ernesto Pastore has created Conchita, a modern metal chair that was inspired by bivalve seashells. 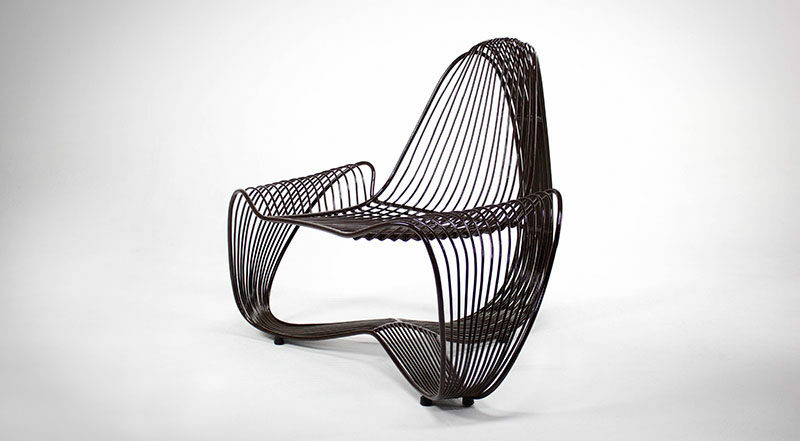 The name “Conchita” derives from the Salvadorian Spanish name for seashell, and by using a combination of digital methods with already existing fabrication techniques, common materials, and high skilled craftsmanship, the designer was able to create a sculptural chair design. To craft the chair, a full scale 3d printed version was developed using a pellet extrusion 3d printing method, and this 1:1 prototype was then used as a guide for the craftsman to bend and molded steel rods into the desired sculptural shape.